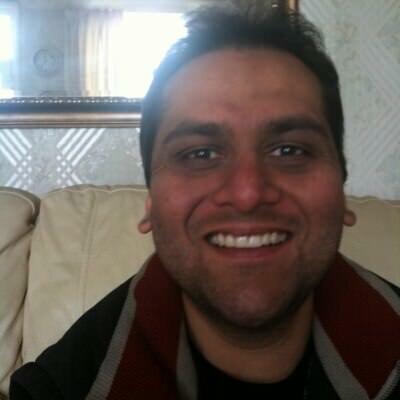 I am a professional British-Indian guy who has been living in the Uk all my life. I am of average/slightly chubby build (5'9" 35" waist, 14.5 stone) and would be described by my friends, family and peers as being the follwing: deep conversationalist, a calming influence, a dynamic influence, impish, direct, sensitive, determined, realistic about life, not greedy, warm, very tactile a perfectionist and optimist AND a pessimist, spiritual, loyal & generous. I would say I have been described as young looking and handsome. I have two boys, both are house cats. One is called Nimai and the other is Gopal. Documentaries mainly. However I do enjoy some tacky programmes too if in the mood. Visiting new places especially towns and quaint places. Visiting stately homes, theme parks, zoos, parks and wildlife resorts. I love to go out for long walks and being silly and enjoy small groups of people to big ones to hang out with. Enjoy eating out. To open a sanctuary for cows and animals who have been ill treated or abandoned or rescued from the slaughter industry. A person who has self esteem and is quietly confident but not arrogant. Humour is so important and so is communication for relationships to work out.